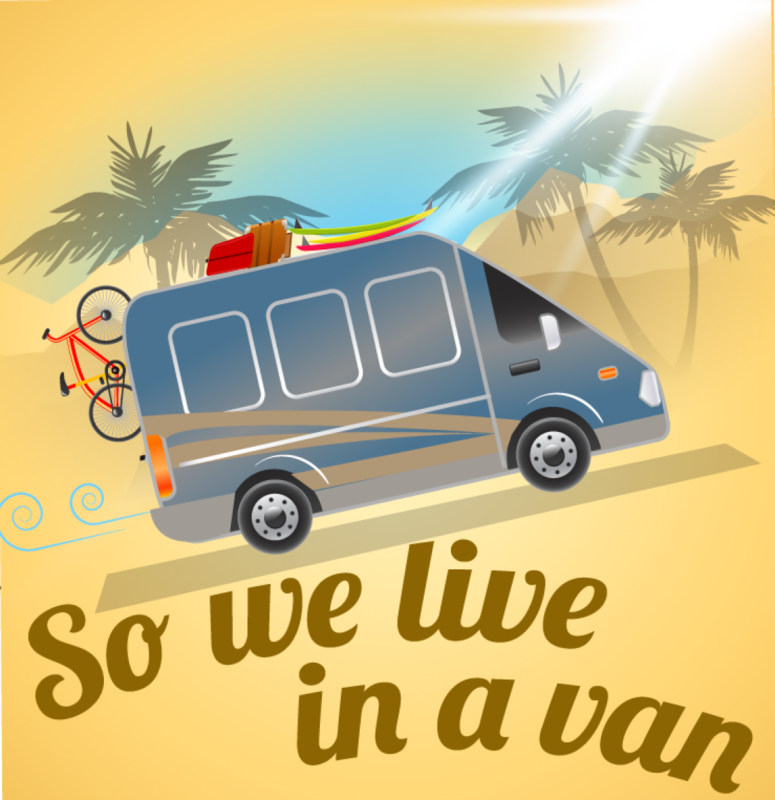 There are many reasons we love living in a van and here are 7 of them. “Wait whaa?” I know…But truly we feel quite safe in our sketchy van. We are undercover bad guys. And no one wants to screw with whoever’s inside. A van with blinds is like a home with bars on the windows– it’s meant for self-protection, and yet you can’t help but wonder if the actual danger is inside not out. pounding just as hard as mine. Plus it’s already a getaway vehicle. If our van was the setting of a horror movie, we would just rev it up and bail. See ya bad guy! People in homes in horror movies, however, run (and trip) and hide in their closet. And then they get stabbed. If only they lived in a van. I hate decisions. The big, the little (the medium?). All of them. I’m working on overcoming decision paralysis (also known as indecision), and the van has been a great therapist! I realize not everyone considers this an actual perk, but I do. My time is so efficient. I don’t waste brain power deciding what to wear because there are only 10 outfits to pick from. That’s it. And weather basically decides that for me. I can’t cook in the van so deciding what’s for dinner is just a matter of looking at a menu and saying “this one please!” Voila! This simplicity frees up my mind for more important decisions like- should I hold it till the restrooms open or just go in this cup? The van is the transition glasses of vehicles. Brilliant, but because it looks so ridiculous, most people decide it’s not worth it. However the convenience really can’t be beat. I never have to run home to grab something. It’s all there. Need to change clothes? Bam. Need a nap? Bam. Need to get somewhere? Bam– just jump the battery and go. 3. Early to Bed. Early to Rise. I’m a grandma. I love going to bed and waking up at hours that disgust people. But the van welcomes this lifestyle. The sun is down, and not long after so are we. Without tv or unlimited wifi sleep is the only activity left. Nothing tempts us to stay up a little longer. It’s so simple. Come morning the sun peaks out and the go-getters, seniors and van dwellers are up and at em. But because jogging and/or power walking at the crack of dawn is their lifestyle choice, and not mine, I lay in bed listening as they pass, silently offering my support. Go us! 3. Place the solar lantern on the dash to charge. A deep clean is putting 50 cents in the vacuum machine and spraying Febreeze. Utilities= getting gas. No dishes. No hassle. *And it’s cheaper than a hundred dollar, one-day Disney hopper pass. That was so sweet, especially #1. I’m convinced, there are pros to being homeless!